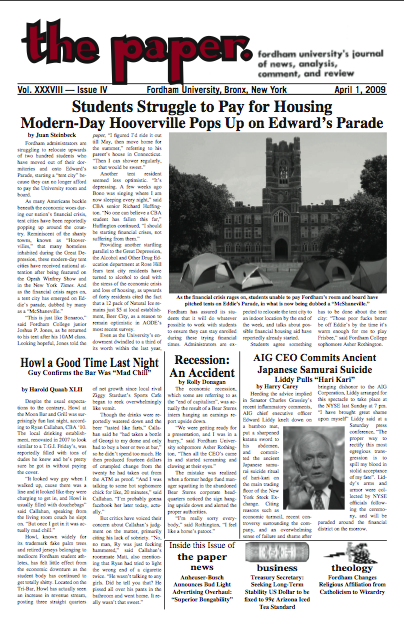 the paper: April 1, 2009: NEW ISSUE OUT NOW! So the cover looks sort of different from usual, huh? Wait until you read it. Happy April Fools, Fordham!